Before achieving great results you have to start small. Often that means a small team. Don’t have enough time for creating a website for your project from scratch? Raptor comes to the rescue. This HTML website template will give you a modern look for your project. 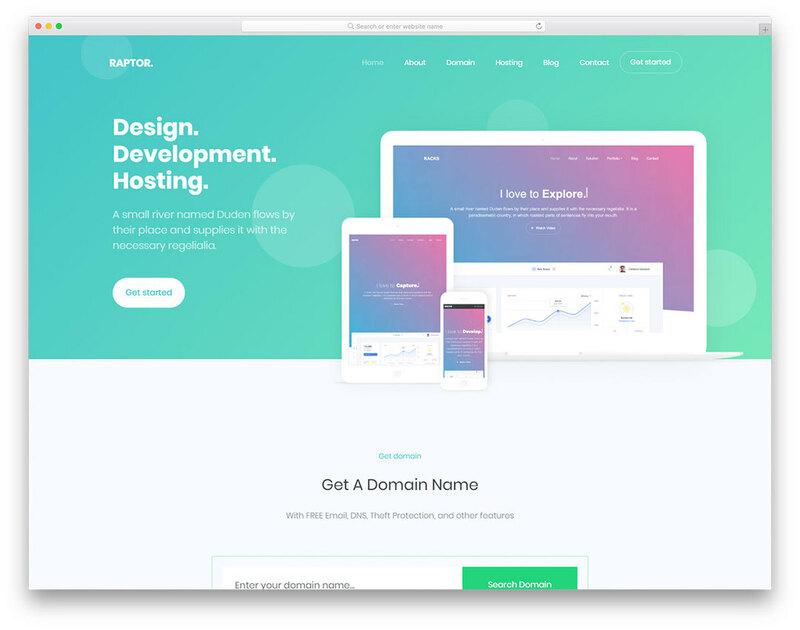 Initially made from Web Hosting services, with a little bit of tweaking, Raptor can fit almost any product. Take advantage of attractive animations, pricing tables, a testimonials section, email subscriptions and a ton of other features just waiting to be put to good use. Give your project a head start - make sure it’s seen in its best form, Raptor will help!